People post millions of updates on different social networks every day. These updates might contain information that is probably useful for you at some point, but may not be easily accessible. For example, information about a holiday destination you want to visit, reviews of a restaurant you’d like to try out or a sporting event you want to track. CO Everywhere is an iPhone app that aggregates this kind of information from public social streams, based on a location of interest specified by you and then makes it easier to follow. The first thing you’ll notice when you launch CO Everywhere is its beautiful design. The app’s UI is heavily influenced by iOS 7 with its use of translucency and will feel right at home on your iPhone homescreen when iOS 7 is officially released. Once the app loads, you’re prompted to choose a location to follow. You can choose from a list of pre-drawn locations that include Apple, Central Park, Googleplex, etc. or draw your own Location on a map. The ‘draw your own Location’ view is very well made and lets you draw boundaries on the map with your finger. This lets you customize exactly which areas you want to include within your personalized location. After you’ve drawn the outline around the location, you can give it a name or choose from the defaults – Home, Work or School. The list of all your saved locations or neighborhoods is saved in the left panel of the app, which can be accessed by tapping on the “hamburger” button at the top left. On tapping a location, the app transitions to the extremely well designed feed view where you are shown the most recent social media feed for that location, arranged by type. The first tab in the feed view lets you view activity from all social networks in one continuous stream. The next tab shows you tweets, public posts on Facebook and tips from Foursquare. You can view events (via Eventbrite and Meetups) taking place at your chosen location using the next tab and you can also view special deals in the neighborhood which are retrieved from Groupon. CO Everywhere integrates very well with these and many more services such as Yelp, Instagram, etc. You can easily delete a location by holding down on it while in the left panel. While in the feed view, you can tap on any card or user profile to reveal the share sheet which shows itself with a cute little slide-down animation. If you wish, you can share the card via Twitter, Facebook, Email or iMessage. There is a circular icon on the top right, which on tapping, reveals the right panel. This panel contains profile images from all the users who recently posted in your chosen location. These images are beautifully displayed on a blurred panel, behind which the feed view is partially visible, much like Control Center on iOS 7. Tapping on any of these images takes you to the user’s profile page on the respective social media service or app. 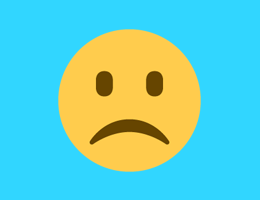 As you might expect with all social apps, there’s a lot of unnecessary content that might show up in your feed. CO Everywhere handles this problem by allowing you to mute posts from users. Although a little more flexibility on muting would’ve been nice, I’m glad that this option is at least available. Some social apps force you to create an account with them and then log in every time you launch the app. However, CO Everywhere does not do this and definitely earns some extra brownie points in my book. My only gripe with the app is that it uses the Maps.app instead of Google Maps. I live in India, where many streets are not tagged and are very difficult to find on the Maps.app. CO Everywhere is still a well designed & feature packed app which you should definitely check out. The app is available Free on the App Store. 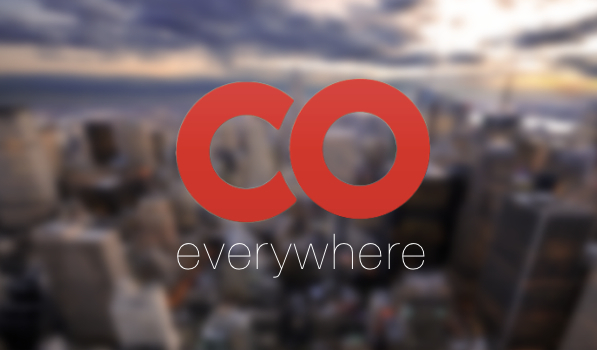 CO Everywhere is currently available only for the iPhone, but will soon be launching for the iPad and for Android.